Have you ever wondered what cars do our ladies like the most? What type of vehicle will make her go wild with excitement? If you thought that they only like ‘sports cars’ you might be correct but only to some extent. Women indeed have a profound taste when it comes to cars, they prefer expensive, strong and fast models that come in various shapes and sizes. Recently there was a poll online where ladies were asked what vehicles are likely to attract them. This poll was conducted on numerous websites, and the results are great. The participants have chosen cars from a number of different and excellent manufacturers, and we are sure that all of them will be worthy of your time. We’ve taken a look at the results and combined a list of top 10 cars that ladies went nuts for. And for you out there who are looking to get something that will attract the opposite gender, this list will give you a lot of food for thought and some very cool ideas. Some ladies love a man who rolls in a rugged, off-road vehicle. And therefore we weren’t so surprised that Jeep Wrangler ended up on our list. 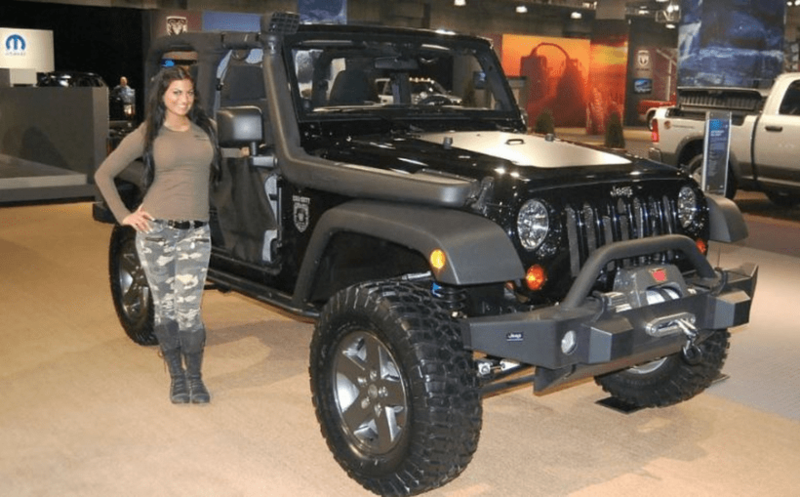 According to polls and surveys, pick-up trucks are also considered to be hot by ladies, however, the Wrangler really convinces ladies that man behind the wheel is strong and destined for great things. And when women think something along these lines, be sure that they’ll go after you. Tags:BMW M6 Cabrio, Bugatti Veyron, Cadillac Eldorado, Dodge Viper, Ferrari GTO, Jeep Wrangler, Women Cars 10 Cars Women Adore the Most!